South African transport company Transnet has declared force majeure on its railway operations contract with Kumba Iron Ore after a road accident closed the Iron Ore Export Channel or IOEC rail line, Kumba said late Friday. A truck collision with a railway bridge has caused structural damage to the bridge and the railway line above, impacting train movements in both directions, Kumba said in a statement. The accident occurred last Wednesday, market sources said. Repairs are expected to take around two weeks, according to statements by affected parties. "Transnet has informed Kumba that a temporary bridge will be constructed and that the IOEC line is expected to be reopened on December 9," Kumba said in its statement. "Temporary measures will be implemented to ensure that rail operations can commence in approximately 14 days," Transnet said in a separate statement. The IOEC transports iron ore from Kumba's Northern Cape mines Sishen and Kolomela to Saldanha Bay port for export. Market sources expected the impact of the railway closure to be limited, with port supplies expected to be sufficient to cover prompt shipment loadings. "We would like to assure South Africans that the iron ore stockpiles on site can keep the business going for at least seven days," a Transnet official said Friday. "Based on this information, Kumba currently anticipates that the lower end of its 2018 guidance, as announced July 24 in the company's reviewed interim results, will be met. 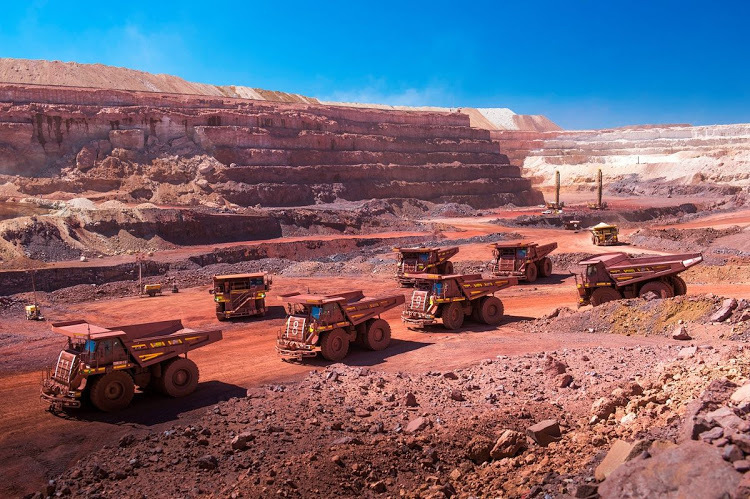 Kumba's 2018 guidance was 43 million-44 million mt for total production and 42 million-44 million mt for total sales," Kumba said in its statement. Spot demand from China for South African iron ore typically increases during winter due to its lower moisture content, market sources said. A total 5.3 million mt of iron ore was exported from Saldanha Bay in November, up 39% from October, according to export data provided by a market source.